:: Bird Studies Canada has taken part in nocturnal owl surveys in Ontario for 18 years, and The London Free Press interviewed some volunteers at the bird observatory, including my friend Daniel, about the owls. :: A Canadian researcher finds that toxic chemicals banned decades ago are contaminating the livers, eggs, and plasma of Glaucous Gulls in the Arctic. 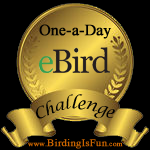 This entry was posted in Birding, Birding News, Blogging, General Birding and tagged Birding News, Blogging, Blogs. Bookmark the permalink. Thanks for sharing the latest news on the birds. Have a happy week!